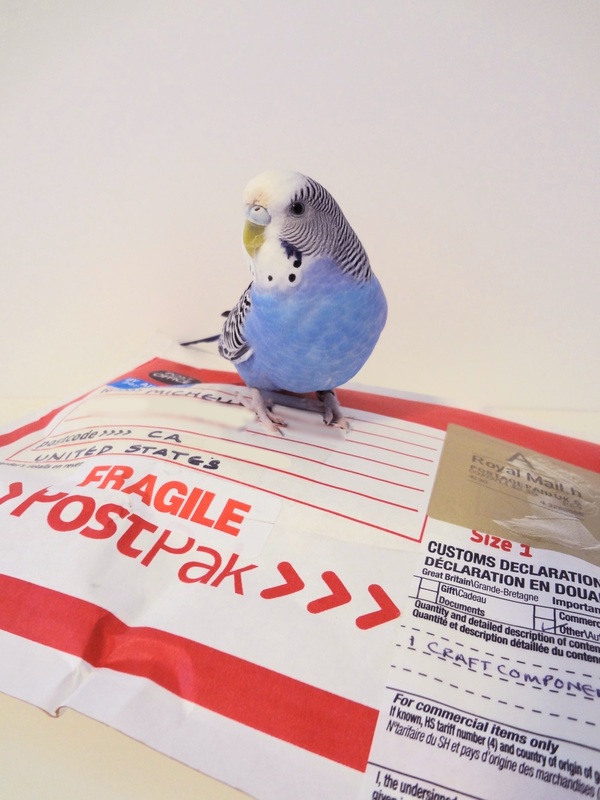 Posted on September 16, 2014 by Michelle M.
Look what came in the mail! 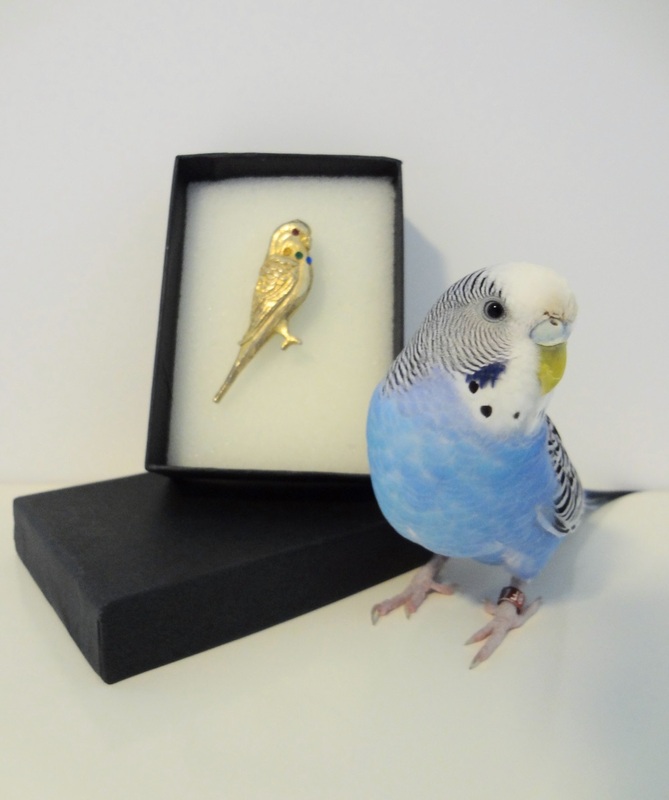 It’s a little gold(ish) budgie pin. I got it on Etsy. Some of the gold has worn off and it was missing a rhinestone. I glued a little blue one on – almost as good as new! 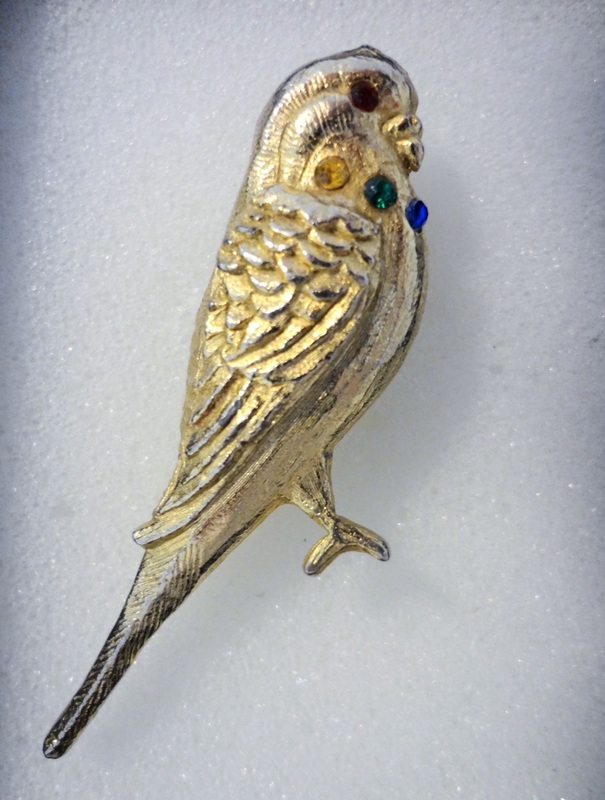 This entry was posted in Budgie Buys and tagged budgie, Budgie buys, budgie jewelry, budgie pin, Cooper, parakeet by Michelle M.. Bookmark the permalink. I can tell you love the pins soooo how do you use them? Do you wear them or display them? Yes, I wear them :). I never thought of displaying them – I should do that! I think I buy a lot of pins because they tend to be affordable (in the $20 range). I have quite a collection of animal necklaces ! Including an owl one. I have a friend who collects Christmas pins and she puts them all on a pillow.